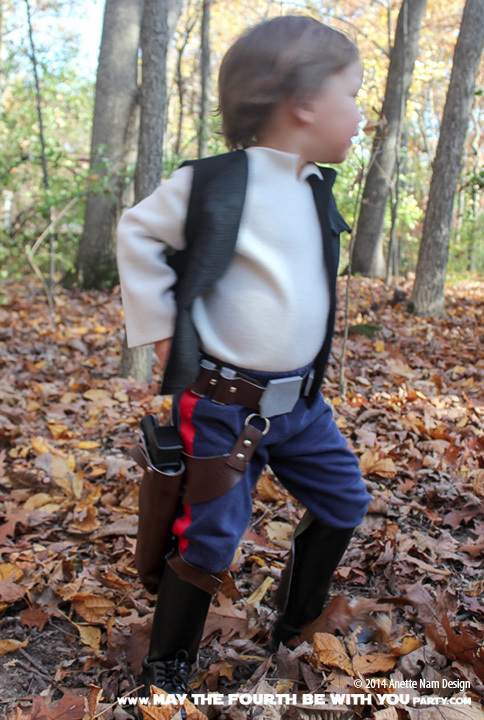 When our daughter wanted to be Chewie for Halloween, our son simply had to be Han Solo. Proportionally they were just about the right size. In theory, he was happy about this. He loves Star Wars. In practice it was a little more complicated. He was quite upset that Han does not get to have a lightsaber! But more importantly, he hated the hair! I mean, HATED the hair. As the good (albeit slightly obsessed) mom that I am, we skipped 2 haircuts so he would have nice shag do in time for Halloween. Un-coiffed, it looked more “Luke” than “Han”, and the times we tried to style it like Han he just got REALLY upset. So, the brain washing had to begin. We all watched Episodes IV, V, and VI, the weeks leading up to Halloween. We pointed out how cool Han was, how he flew a space ship, and how he had a blaster. DING! DING!! DING!!!! That’s what did it. When he realized he got to have a holster and a blaster of his own, the hair became WAY less important. He does not normally get to play with toy guns (and I try to stop him from making his own with Legos, or sticks, or shoe horns, or toilet paper rolls…you get the idea) so having permission to play with this was amazing for him. 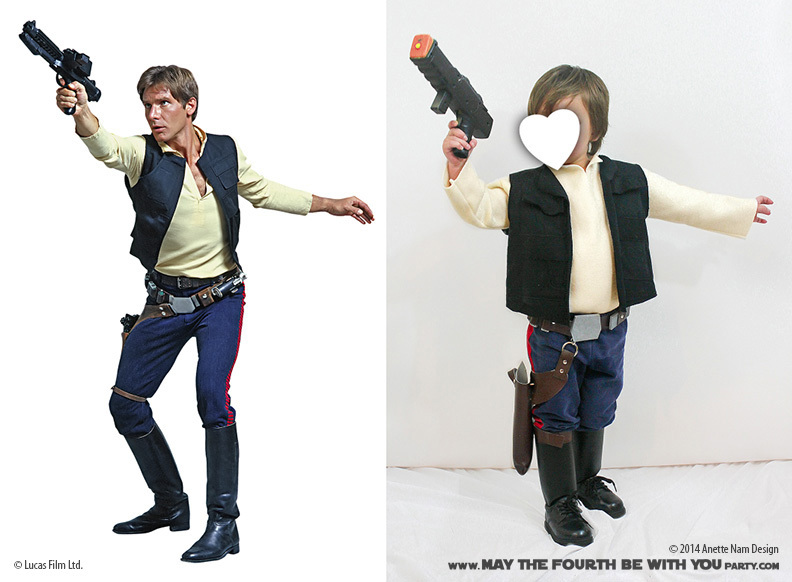 So here is what we did to turn our little guy into the guy who MOST DEFINITELY shot first. 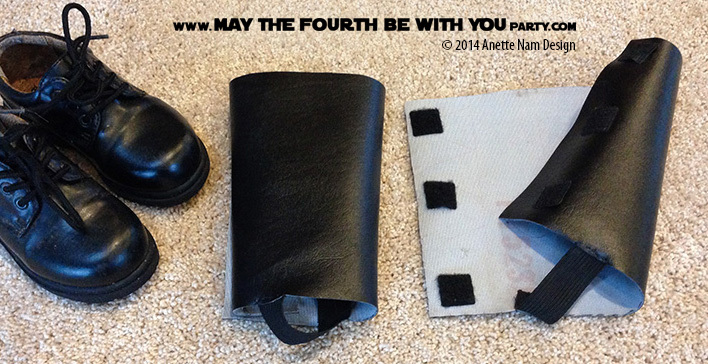 You can find the instructions for the Holster and Belt here. For quick-ish Halloween costumes, there is nothing better than fleece. It does not need to be hemmed, it is stretchy, and warm. If you want to make a cos-play outfit, there are much nicer fabric options, but to make something that is easy, fast, and holds its shape well, there is nothing better. This started as just 4 rectangles. 2 large for the torso, with a hole cut for the neck; and 2 made into tubes for the arms. 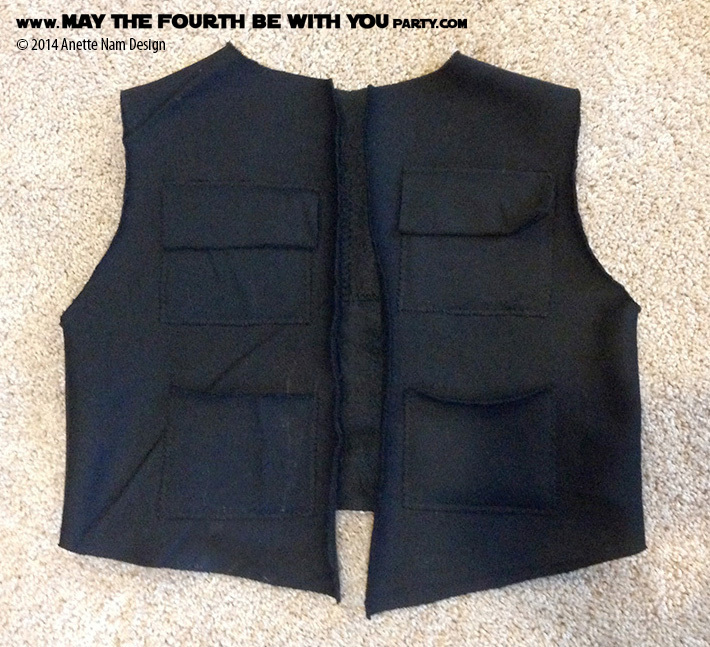 I found some fabric that looked like fleece on the back and shinier on front, so it looked more like the real vest. Still no hemming needed! 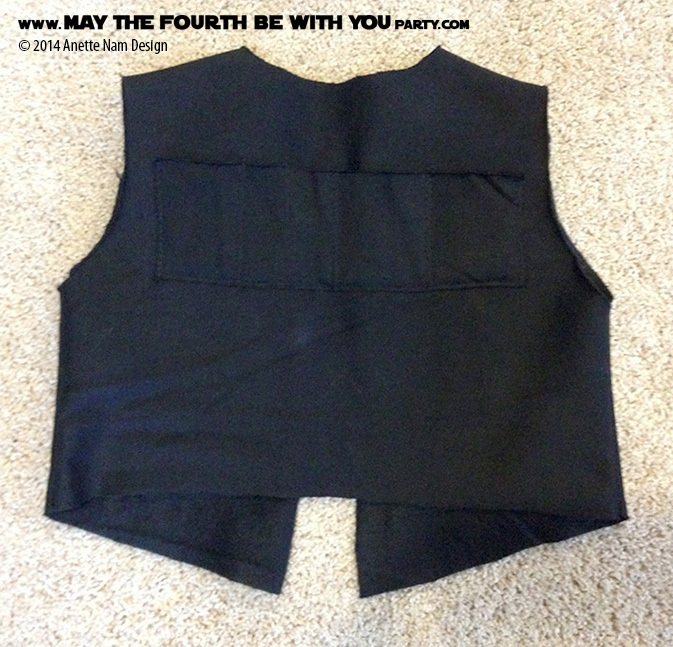 There are 2 pockets on each front side, 1 with cover flap, 1 without. 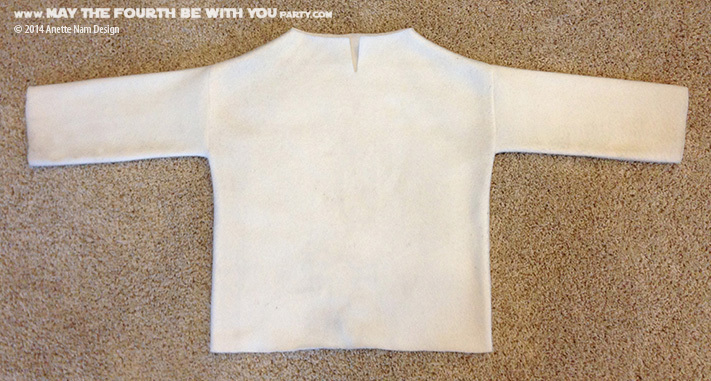 On the back I just sewed on a strip, and sewed compartments to make many pockets. We already had blue pants, so I simply sewed (by hand) a red ribbon on each pant leg. I made “socks” in fake leather that tucked into his dress shoes. They close in the back using self-adhesive velcro tabs. Lastly, I sewed elastic under the heal so they do not slide up. ← Nerfherders clean up real nice!